Dr. Caroline Orchiston writes about May 18th 2015 – the 35th Commemoration of the St Helens eruption, 1980. It is 35 years since the eruption of Mt St Helens in Washington State, USA. By chance, David Johnston and I are here conducting some tsunami hazard field work. Once the work is done, we head inland into the Cascade Range, to join commemorations of the eruption. As we drive up the flanks of St Helens the clouds part, revealing the mountain in all its incredible glory. The mountain erupted early on May 18th after a two-month period of unrest marked by precursory micro seismicity. Steve Malone, a retired Pacific Northwest Seismic Network seismologist, alerted USGS volcanologists to the unusual cluster of earthquakes popping off around the cone of St Helens in the weeks leading up to the eruption. Another clear signal of impending eruption was the ominous bulge on the side of the mountain. 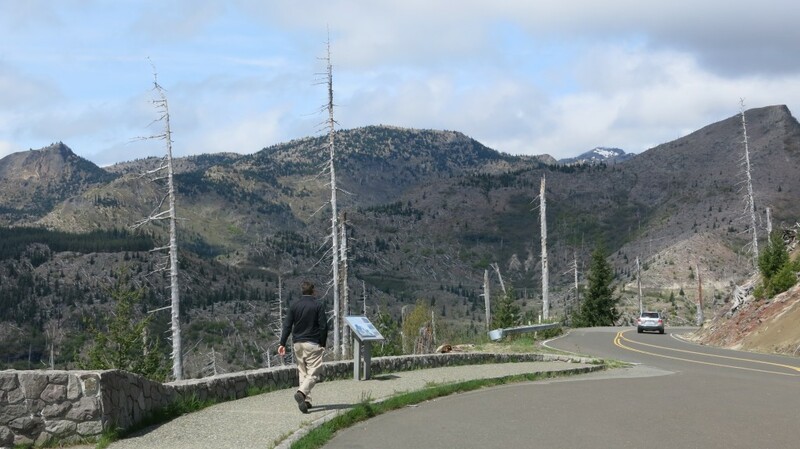 However, May 18th began as just another day, and Steve has scoured the seismic data many times since and found nothing to suggest that at 8.32am on the 18th May, the side of the cone would collapse into the world’s largest recorded landslide and send out a lateral blast which would obliterate 240 square miles of old growth forest, and result in 57 deaths. For many of us old enough to remember the event, it became the first natural disaster to receive real time global media coverage. It was a watershed moment in volcanic research and hazard assessment, leading to the realisation that scientists had a responsibility not only to observe the eruption and its aftermath, but also to communicate the risks to affected populations in order to protect lives and livelihoods. The events of May 18th were a steep learning curve. From a hazards perspective, the Pacific Northwest of the US holds many similarities to our own hazardscape in New Zealand. The Cascadia subduction zone mirrors the Hikurangi Margin, with communities along the respective coasts exposed to substantial risk from subduction earthquake and tsunami hazards. The Cascadia Range and the Taupo Volcanic Zone are active volcanic fields with similar risk profiles (apart from the difference in population – greater Seattle is home to 3.6 million residents). There is much to learn from exploring the societal responses to the range of hazards in both countries, and on-going research collaborations between GNS Science and both the USGS and State of Washington Emergency Management Department are working on mutual learning and cross pollination of community-led ideas and solutions. On this research trip we saw great examples of hazard mitigation in action. 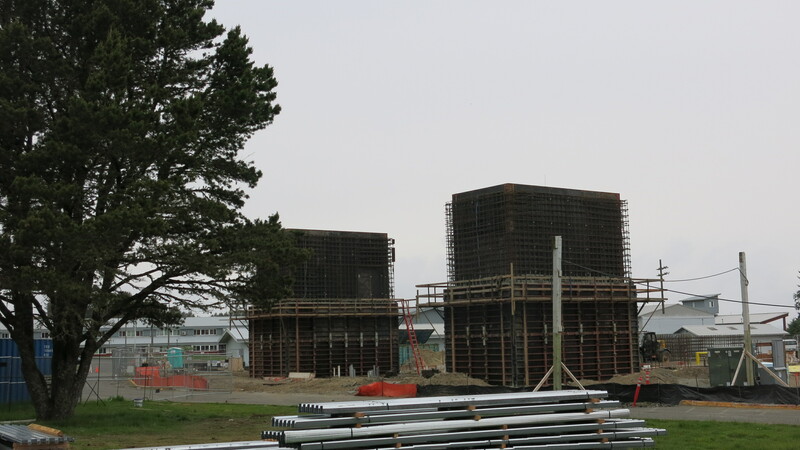 We visited a school in Westport, Washington, that will soon have the first purpose-built vertical tsunami evacuation structure in North America, funded in part by a self-imposed community tax on local residents. This structure will save hundreds of lives in the event of a Cascadia earthquake/tsunami, and it is giving hope to communities across the area as a symbol of what can be achieve if people work together. Residents in Washington State still go on living with significant volcanic risk in their backyard; Mt Rainier is considered the next most likely of the numerous Cascade volcanoes to erupt. The mountain rises like an apparition above the city of Seattle. On a fine day you can expect jaw-dropping views of the mountain on the approach to SeaTac International Airport. 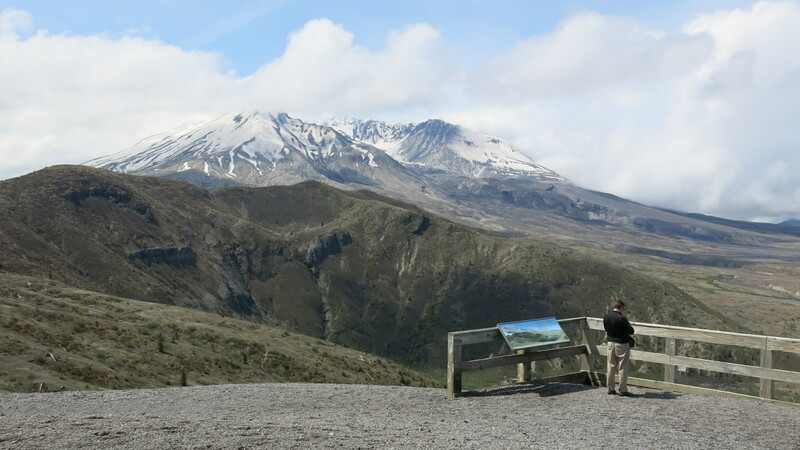 The forests are growing back in the blast zone, and thousands of visitors come to the St Helens Volcano Monument and Learning Centre every year to see the transformation of the environment 35 years on. For me, being here has triggered a mixture of emotions; sobering to bear witness to the incredible forces of nature still etched onto the landscape, but also exciting to realise that all the work we’re doing has stemmed from the eruption of this mountain, and that we’ve come a long way since then. But there is a lot more to be done. 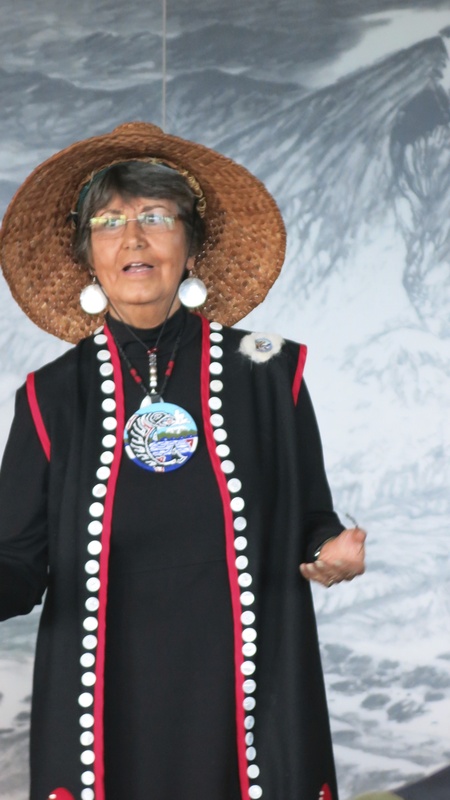 The local Cowlitz Native American tribe describe St Helens as being part of their DNA. Their spiritual leader asked us to ‘look at the mountain, feel the mountain, and learn from the mountain’. And to remember that day in 1980. Always remember.